I hear all of the conversations on the coms. I look out the window, trying to see anything. "Cap!" I hear Sam yell. "Cap, come in. Are you okay?" "Yeah, I&apos;m here. I&apos;m still on the Helicarrier. Where are you?" Steve asks. "I&apos;m grounded. The suit&apos;s down. 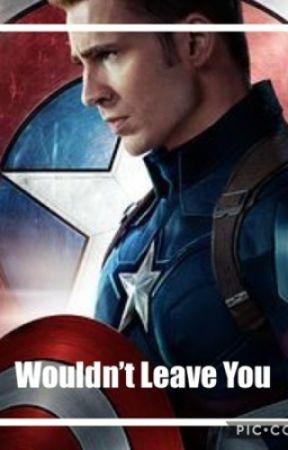 Sorry, Cap." Sam says. I switch my com mic on. "Sam, are you okay?" I say, gun still pointed at Pierce. "Yeah. I&apos;m all good. You?" "Just peachy." All of a sudden, the building goes into lockdown. "Falcon?" I hear Maria say. "Rumlow&apos;s headed for the council." Maria says. "I&apos;m on it." Back in the council room, we are just watching the information leek. Although it is almost impossible not to hear all of the screaming and grunting coming from Steve&apos;s com. "Done. "I say. "And it&apos;s trending." As soon as I finish, the council men behind me start to scream. The pins that Pierce gave us were rigged. They are frying the men&apos;s hearts. I quickly put my gun back to Pierce&apos;s head. Fury does too. "Unless you want a two inch hole in your sternum, I&apos;d put that gun down." I just look at him. "That was armed, the moment you pinned it on." I put my gun down. Pierce walks over to the computer to watch his masterpiece unfold. He takes my gun too. I suddenly hear a gunshot over the com. "Not me." he grunts, knowing what I mean. "Steve?" I say, tears starting to form in my eyes. "Rachel," he grunts. He was shot. "30 seconds Cap!" Maria says. I hear Steve breathing heavily. "Charlie-" he is cut off by a gunshot. I gasp. Fury looks quizzically at me. So does Pierce. But I can&apos;t help it. The tears are threatening to spill over. I watch the target count increase my thousands. I put my hand up to my mouth, tears threatening but not overflowing. Suddenly, the number is gone. "Charlie lock." I hear Steve say. "Okay Cap, get outta there." Maria says. "Steve!" I scream, and look out the window. Looking at the last remaining helicarrier. "Do it! Do it now!" Steve yells. "No!" I scream and run to the window, slamming my fists, watching the only man I&apos;ve ever loved get blown to smitheries. I stop slamming the window and just cry. "You still on the fence about Rogers&apos; chances?" Fury asks. Pierce walks over to me with my gun. He grabs my arm and points the gun at me. "Time to go Councilwoman. This way. Come on. You are going to fly me out of here." I put my hand into my pocket and quietly sob. "You know, there was a time that I would&apos;ve taken a bullet for you." Fury says to Pierce. Through my tears, I find one of my little widow&apos;s bites and hold onto it, ready to fry myself. "You already did. You will again when it&apos;s..." I cut him off my squeezing the bite, shocking myself to disable the pin. I hear two gunshots. I flinch, thinking I&apos;d been shot. But when I don&apos;t feel the pain, I relax slightly. I hear footsteps. "Stark. Rachel. Rachel! Come on!" "Ow." I say, opening my eyes only to see Fury. "Those really do sting." He chuckles and helps me stand up. "Come on, we gotta go find Steve." he leads me to the chopper. Once we are in the air, I hear Sam. "Please tell me you got that chopper in the air!" he screams into the com. "Sam, where are you?" I ask, tears still staining my cheeks. "41st floor! Northwest corner!" he says. "We&apos;re on it! Stay where you are!" I yell back. "Not an option!" he says. We quickly swing around the helicarrier and get in position to catch Sam. He jumps out of the building. "41st floor! 41st!" Sam yells as he lands in the chopper, breaking the door off. "It&apos;s not like they put the numbers on the outside of the building!" Fury yells from the front. "Hill! Where is Steve?" I say, tears returning to my eyes. "No. Rachel, I&apos;m sorry." I let my tears fall. We fly around the helicarrier, looking for him. Sam looks out of the helicopter, at the carrier. I follow his gaze. Something is falling. "Steve!" I scream, watching him fall into the lake. Sam looks sadly at me as I start to sob. "Fury, land this bird, now! On that little patch of land! Do it!" He obeys. As soon as we land, I start to sprint around the small island. I come to a sharp stop when I see the Soldier pulling Steve out of the water. 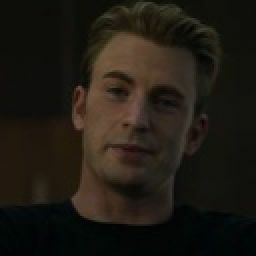 Once he finishes pulling Steve out, he looks up at me. I nod towards him, tears streaming down my face. The Soldier walks away. I quickly run over to Steve, who is coughing out water. I gingerly touch the bruises on his face and I let out a sob when I see his bullet wounds. His eyes open slightly. "Steve! Steve! Stay with me, okay?" I say through sobs. He coughs. "Rachel," he says in a whisper. "Stay with me, okay? I need you to stay." "I..." he is cut off my another coughing fit. "I love... you." he whispers. His eyes start to close. "I love you too! Stay with me! I love you too..." I am cut off by his eyes closing. I loose it. I cry. But soon, Fury and Sam push me away. The EMTs are here, to get Steve. Sam pulls me into a hug. I sob into his shoulder as I watch Steve be carted off.